In Hinduism, the health of a cosmos relies on the struggle of good and evil. As long as gods and demons perpetually oppose each other, the cosmos they inhabit remains healthy, but if evil gains the upper hand, its well-being is threatened. At such times, a God of a higher order must intervene to restore equilibrium and preserve the cosmos. This “preserver-god” is Vishnu, whose periodic incarnations each take a form adapted to counter a particular evil. 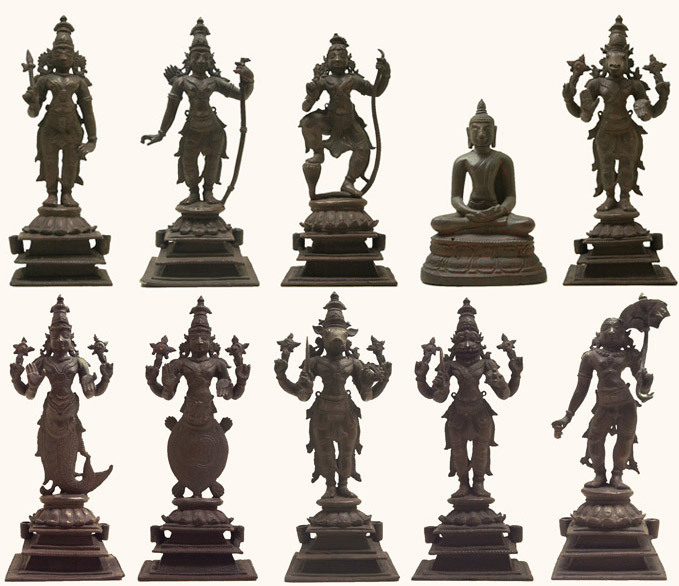 Traditionally, nine such incarnations of Vishnu have already occurred and a tenth is yet to come. This mythological dynamic is readily observed in the micro-cosmos man: if I am swamped with concern “I”s about my future, or judgment “I”s about my neighbor, or pity “I”s about myself, then my demons outweigh my gods. Equilibrium is disturbed until, acting in the role of “preserver-god” in my micro-cosmos, I introduce some contrary force — an attitude, a physical effort, an act of external consideration — that will pull energy away from these negative “I”s and weaken them. If this force succeeds in counterbalancing the negativity, then order is restored in my micro-cosmos. But since the “I”s are dynamic — yesterday it was concern, today it is judgment, tomorrow it is self-pity — the pill that worked yesterday cannot be expected to work today. I must adapt my efforts like Vishnu adapts his avatars. Since the remedy is dynamic, the intelligence that administers the remedy must likewise be dynamic. This requires a god of a higher order — a ruling faculty or Master — that will keep its fingers on the pulse of the cosmos and propose a remedy relevant to its imbalance. The pill is there, and it is only a matter of seeking until it is found. This means that to counteract difficult groups of “I”s, I must adopt the attitude that there are no unsolvable problems, only unfound solutions. Vishnu, it turns out, is a master of this attitude. Nine times before has he incarnated to restore the balance between good and evil, each time in a unique form. First the fish Matsya sustained the vedas through the primordial flood. Next the tortoise Kurma upheld Mount Mandara during the great churning. Later the boar Varaha retrieved the vedas from swampy depths. Then the lion-man Narasimha dispatched the evil king Hiranyakashipu. During the reign of King Bali, Vishnu intervenes a fifth time as the dwarf Vamana. Bali rules well and is loved by his people, but his ambition threatens the gods. Having extended his kingdom as far as he could on earth, he directs his conquests heavenward. It is therefore decreed that Vishnu incarnate to block his endeavor. The preserver-god approaches the king in the form of a dwarf Brahmin and asks for the gift of three paces of land. “How large,” thinks King Bali, “can three paces of a dwarf amount to?” No sooner does he grant Vamana’s request when the dwarf grows to a gigantic size and with two steps covers the earth and heavens, winning Bali’s kingdom and returning it to the gods. So must Vishnu adapt to solve cosmic problems. So must our Master keep its fingers on the pulse of our cosmos to sustain order. If I am having trouble separating from a difficult group of “I”s, it is not because they are unsolvable, but because I have yet to find the optimum remedy with which to counterbalance them. Which demons do you seek to counterbalance?